Specific Mathematics Assessments that Reveal Thinking (known as SMART::tests) are a series of short on-line tests undertaken by students. SMART::tests provide formative assessments to teachers that reveal their students’ level of understanding and way of thinking about a particular mathematics topic. These may include misconceptions and gaps in student knowledge and conversely good or advanced understanding of the topic. In this way, the SMART::tests system facilitates more effective and targeted teaching, enabling the teacher to focus on areas that require additional review and attention and to move on from those areas that are well understood. Currently, SMART::tests are designed for students aged 10–15 years (or in school years 5–9). 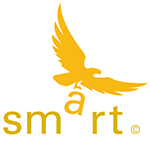 The SMART::tests system provides information about individual students as well as groups and classes. Once the short on-line tests are completed, a computer-generated assessment is referred back to the teacher immediately. The report provides information to the teacher on the students’ level of understanding and any identified misconceptions, as well as general information on the topic tested. The SMART::tests system brings the results of educational research into the classroom in a practical way, using technology to enable information to be collected and assessments to be compiled quickly and effectively. The research-backed tests and assessments have been carefully designed to support a diagnostic approach to teaching. SMART::tests complement rather than replace end-of-topic tests and other forms of assessment. SMART::tests inform the teacher about what needs to be taught in a particular mathematics topic, not what level individual students have reached in their mathematics learning across the whole curriculum. SMART::tests aim to improve student learning by identifying those areas within a topic that are not well understood so that teaching resources may be channelled into those areas. This simultaneously ensures that resources are not wasted in areas that are well understood. SMART::tests contributes to the continuous improvement of mathematics learning and education, acknowledging that good achievement in mathematics and numeracy is essential in all modern economies. A drag-and-drop question from the student test ‘Understanding angle' with marked student work (green border indicates a correct response, red an incorrect response), available for the teacher to see. This student confused the size of the angle with the size of the diagram. What are the SMART::tests tools? There are two parts to the SMART::tests system: the on-line tests undertaken by the students, and the assessments provided immediately to the teacher. The on-line tests are short, comprising multiple-choice and other short-answer questions that are coded to enable electronic analysis. The carefully designed and evidence-based tests (from generally available research in the first instance and confirmed by the Graduate School’s analysis) elicit concise, accurate information about the students’ level of understanding of a mathematics topic. Th computer-generated assessments provide precise information about student understanding of a mathematics topic; this includes shortcomings, attainment, and advanced student understanding. It is coupled with supporting information about the topic itself and suggestions for appropriate teaching methods that could be used for individuals, groups, or the entire class of students. 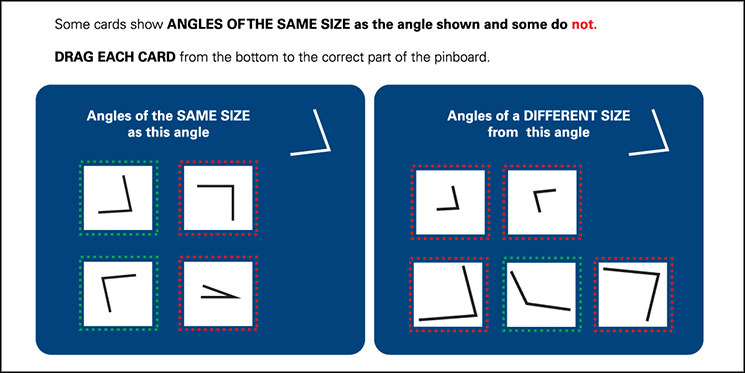 Part of a report to a teacher (from the ‘Understanding angle’ test) showing stages of understanding (0 to 3) of students and identifying misconceptions (codes AL and O). Student submissions can be viewed (right column). The report is downloadable. Hardware A computer or a handheld tablet device is needed for each student. The following devices are supported: PC, Mac, tablet, iPad. For other tablets: web-kit browsers. Minimum server specification is for 100 schools with the average use of 5–10 tests a month per student. Dedicated VM hosting or higher with the following listed below is required. The SMART::tests system supports diagnostic teaching by identifying gaps and misconceptions in student understanding of mathematics topics, thereby enabling teaching resources and attention to be targeted. The tests provide focus to lesson planning together with supporting information about the topic. In these ways, the SMART::tests system contributes to the more efficient and effective use of educational resources and to continuously improving learning outcomes. SMART::tests has been developed by the Melbourne Graduate School of Education’s Mathematics Education Centre and is part of the Graduate School’s educational software suite. Contact details for the relevant Melbourne Graduate School of Education staff members are also available in the SMART::tests brochure (4.3mb PDF).